The Sony FS7 is a high quality, flexible camera system that creates eye catching motion pictures in both 4K and 2K formats. The combination of high-end electronics and a compact body makes the FS7 a perfect choice for shooting fast moving field production while maintaining top quality images. With a dynamic range of 14 stops, this camera can handle both highlights and shadows extremely well in a variety of shooting conditions. Its’ super 35mm sensor produces pictures with cinematic depth of field in custom paint or gradable S-Log settings. Fast Forward Productions added the Sony XDCA Extension Unit to our FS7 to capture RAW 4K along with the XAVC-I, XAVC-L and MPEG-2 codecs. The FS7 also shots amazing slow motion video at up to 180 frames per second. 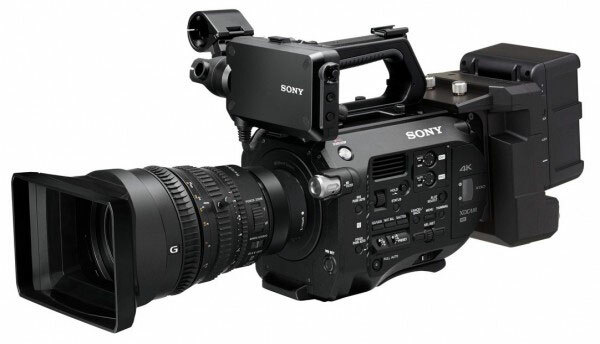 Fast Forward Productions is thrilled to now offer the Sony PMW-FS7 to our clients.